There is a difference between perfect and great. Some things that are technically perfect are exceptionally boring (Le Corbusier’s Villa Savoye, for example), and some things that have “flaws” are not only great but incredibly compelling. 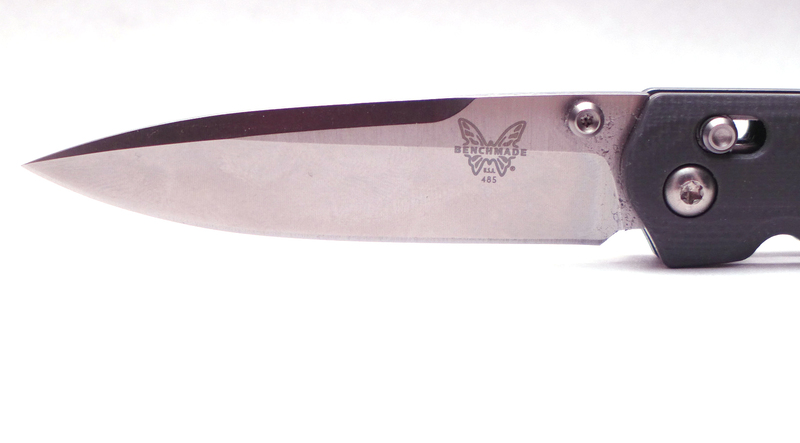 The Benchmade Valet is a flawed, but great, knife. It is a distillation of all that is Benchmade compressed into a single, EDC-focused knife. The Valet’s heritage is easy to see if you know what to look for — all of its constituent elements are taken from other knives in Benchmade’s history. 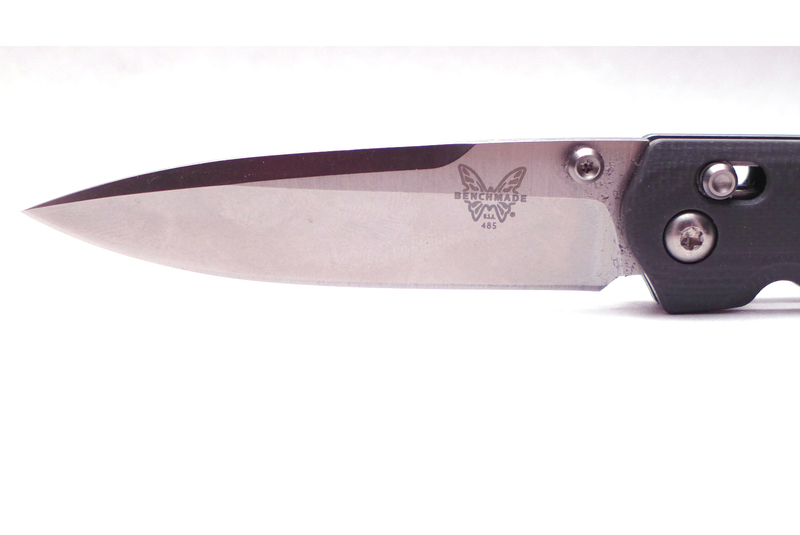 It has the McHenry William Axis Lock, purchased from the designers and used throughout Benchmade’s line. It has a simple blade shape and size reminiscent of the out of production (but also excellent) Aphid. The fit and finish is quite good, and the steel, well, the steel is the darling of the design — the truly superb M390, one of Boehler Uddeholm’s best recipes. 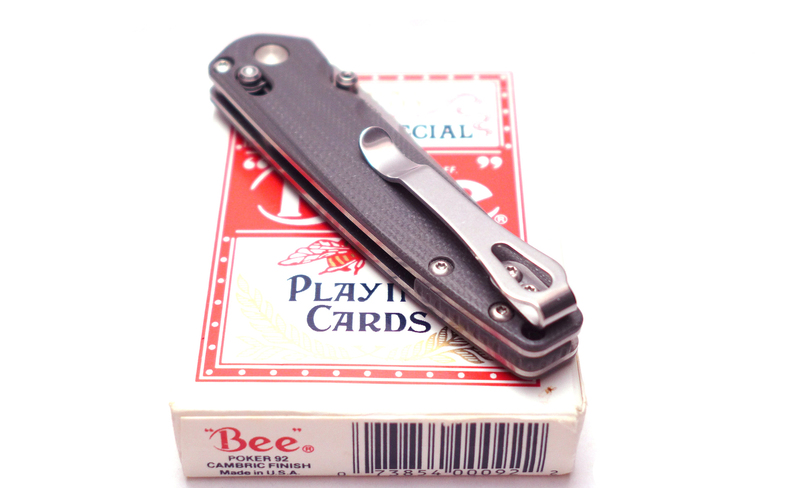 The deep carry, over the top pocket clip is one of the best on the market. In short, the Valet is Benchmade’s current best effort at an all-around perfect everyday carry knife. But, alas, perfection is asymptotic — you can approach it but never really achieve it. Here the flaw is the knife’s fiddly nature. In order to get the Axis Lock on the knife Benchmade had to shrink down all of the parts to 75% their normal size. This, coupled with a thin profile, means that all of the actionable elements are in a very small space — the thumbstud and the axis bar are right on top of each other. Folks with sausage fingers either need to practice their patience and breathing techniques or look elsewhere. Over time you can get used to the teeny pieces and the knife becomes smooth and easy to both open and close, but there is a bit of a learning curve and some finger yoga required. The end result, though, is amply worth it. This is a great EDC knife, one that I have purchased twice in the less than six months it’s been available. One was the stock gray G10 version that I gave to a colleague when he retired after 25 years, and the other is riding along in my pocket many days out of the week — a collaboration sprint run between Benchmade and the watch company Shinola. That knife swaps out the G10 for dymondwood scales, a resin-impregnated wood product with the look and feel of wood but the durability and dimensional stability of G10. Both are truly excellent knives and very close to being the perfect EDC. Unless your are a Sasquatch with huge hands, that is. For you there is always the Espada XL model.